High Five, friend, we made it through another week! Did this one feel particularly long to you? Mine wasn't bad but every day seemed to last forever. Maybe it was D's long hours at work, maybe it was the extra things we did this week, or maybe I was looking for to D and I's big date tonight (yay!) that made it seem so long. 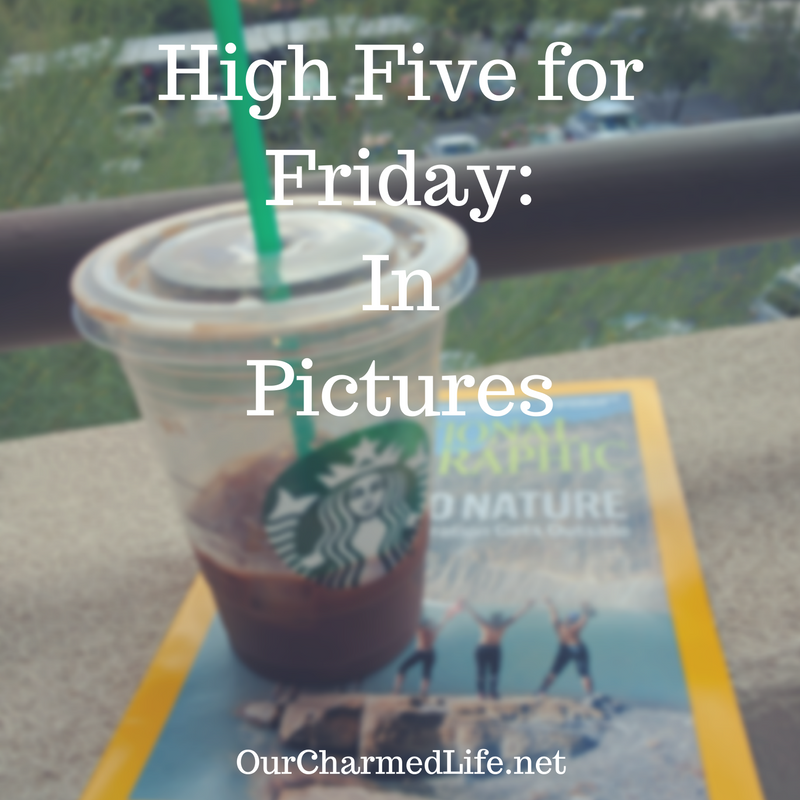 Whatever it was, it's finally Friday so let's celebrate with picture review of the week! 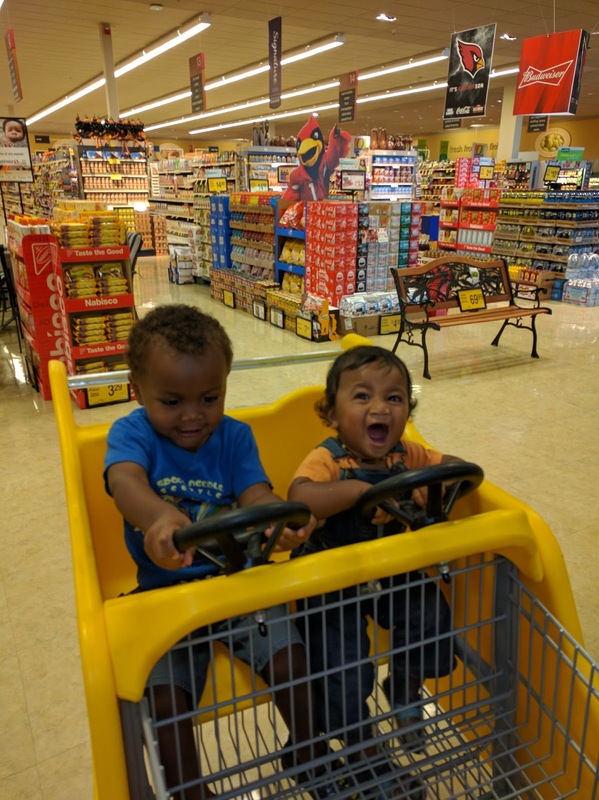 Car carts! It must have been my lucky day twice this week because both times I went to the grocery store I was able to scare the car cart. 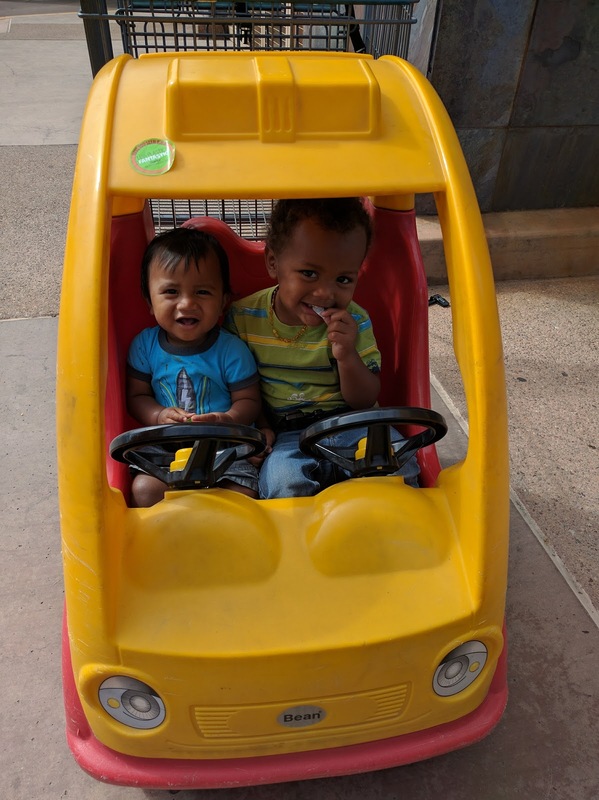 Shopping goes so much easier with these because they boys are both strapped in and distracted. Water sat by himself for his hair cut this week! This was a huge step for him and I was so proud to see him climb up there in the chair. 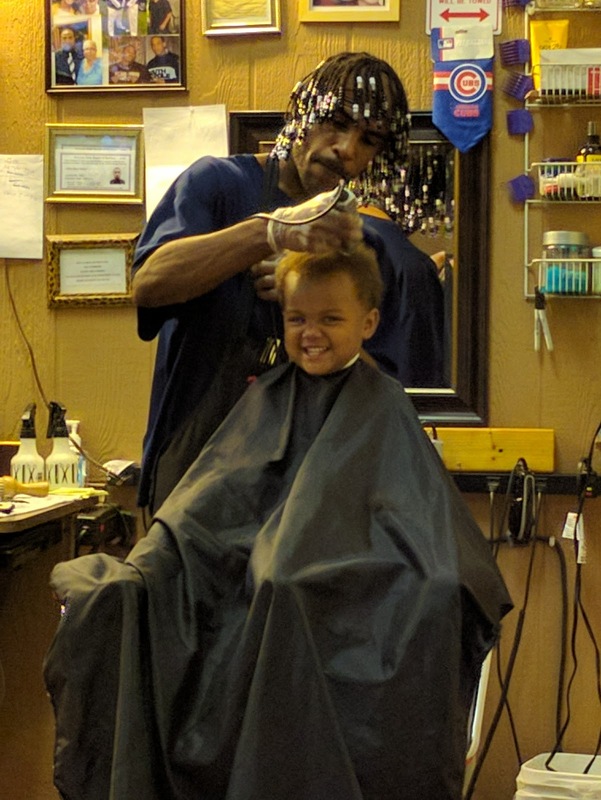 Jeff, the barber, is great with the boys and does a great job on their hair (he's at the Windy City Barber Shop, if you're in the area and looking for someone). 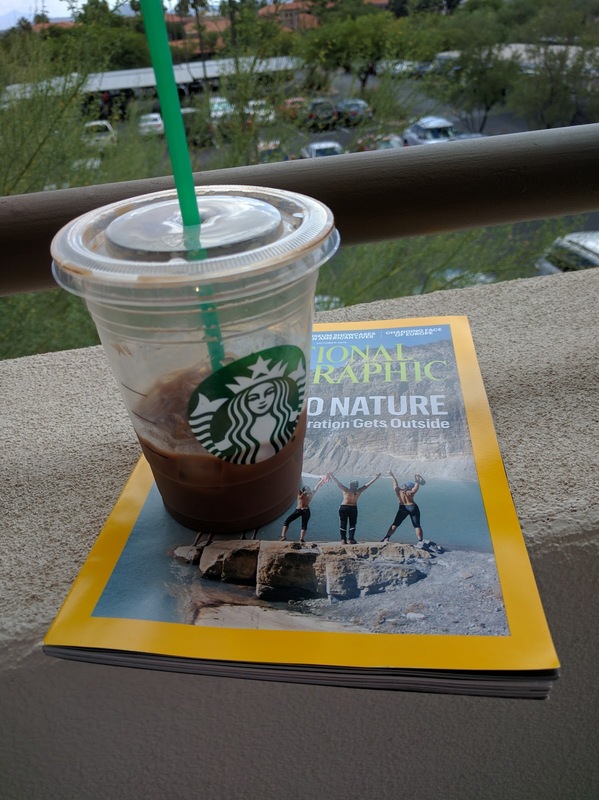 I have a coffee and a magazine and I'm by myself... a spa day? No, just a trip to the doctor's office but since a friend kept three of the kids for me, it felt a bit like a trip to the spa. Three hours with no one crying... bliss. 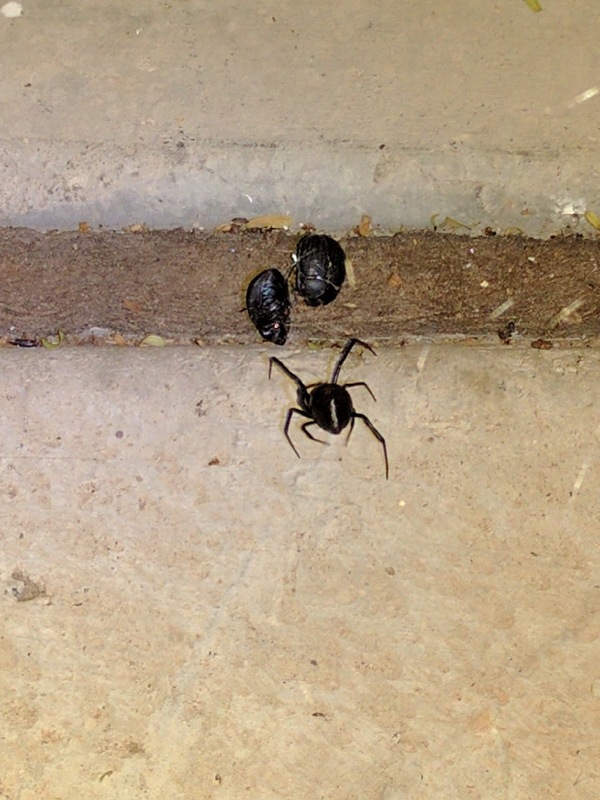 Apparently it's spider season here now so there are black widows and orb weavers every where you turn. 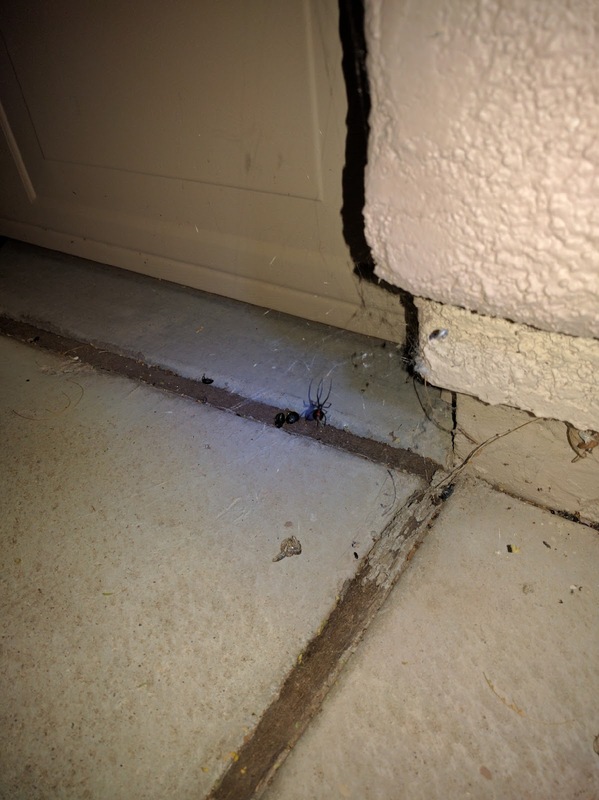 D killed three black widows just last night. I'm ready to move back to Kwaj now! What a way to end, with really creepy spiders! At least it's Friday, right? How was your week? Oh, dear heavens! 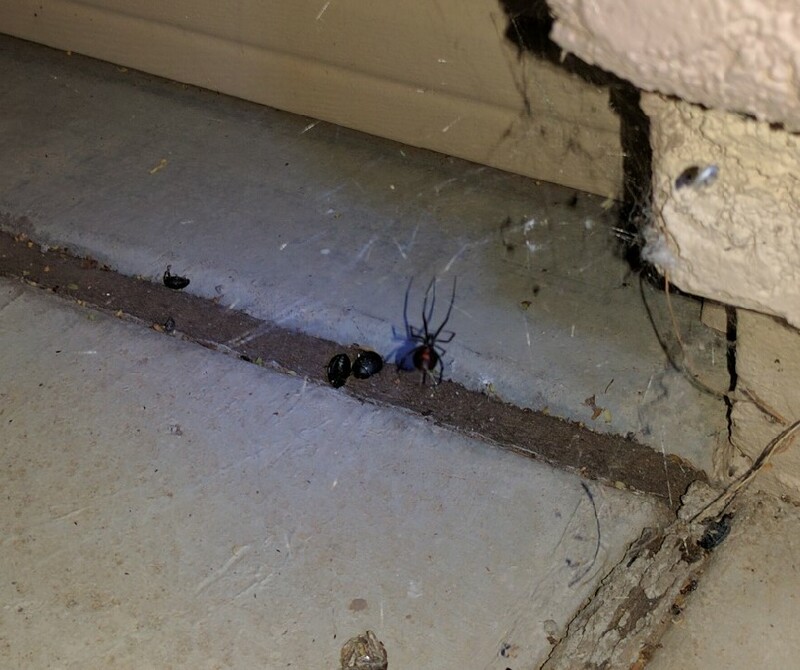 I cannot even believe that you had three Black Widows! One is obviously too many, but three? YIKES! The blurry, tilted picture is a very precious moment! Have a wonderful weekend! Yikes, for sure! Since we have such little kids, we're not going to use pesticide so we're watching where we step outside after dark and hoping that they're a seasonal visitor. Thanks for stopping by, Erika!